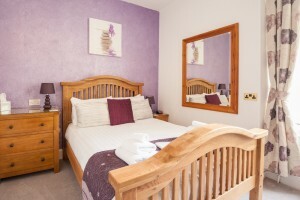 A lovely room facing the front of the house with fluffy bath towels, hairdryer, complimentary toiletries, tissues, mineral water, complimentary beverage tray which is restocked daily. 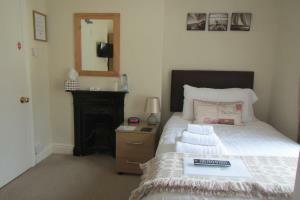 A lovely large double room with an original slate fireplace. This room has fluffy bath towels, hairdryer, complimentary toiletries, tissues, mineral water, complimentary beverage tray which is restocked daily. 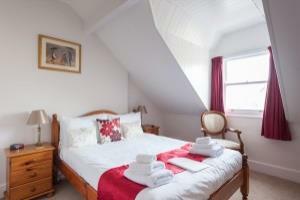 A beautiful room with Bay window overlooking Chapel Street, comprising of a super king size double bed. It has fluffy bath towels, hairdryer, complimentary toiletries, tissues, mineral water, complimentary beverage tray which is restocked daily. 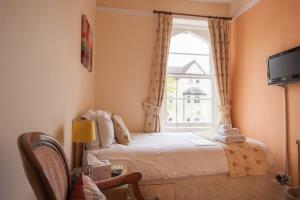 A beautiful room with Bay window overlooking Chapel Street, comprising of a super king size double bed. 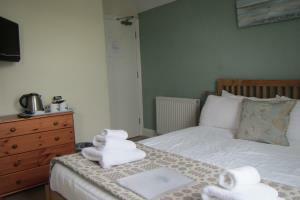 This room can be used as a double or a twin room, please state when booking how you would like the room made up. It has fluffy bath towels, hairdryer, complimentary toiletries, tissues, mineral water, complimentary beverage tray which is restocked daily. 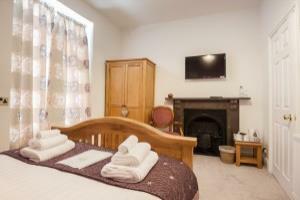 A cosy and quiet room at the back of the house which has fluffy bath towels, hairdryer, complimentary toiletries, tissues, mineral water, complimentary beverage tray which is restocked daily. This beautiful room is at the rear of the house and has lovely views over the roof tops of Llandudno to the Carneddau mountain range. Fluffy bath towels, hairdryer, complimentary toiletries, tissues, bottle of water, complimentary beverage tray which is restocked daily. 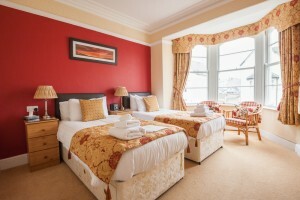 A lovely relaxing room with views over the roof tops of the Great Orme, it has twin beds which can be converted to make a super king double (again please specify when booking), it has fluffy bath towels, hairdryer, complimentary toiletries, tissues, bottle of water, complimentary beverage tray which is restocked daily. 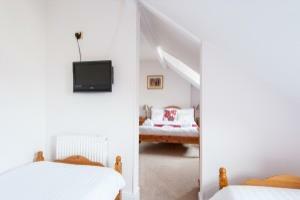 A great room overlooking Chapel Street, which is ideal either for a family or a group of friends. 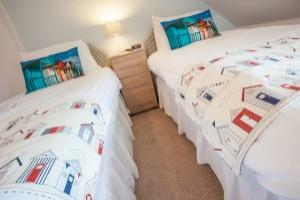 Consisting of a double bed in one room and two single beds through an archway into another room. 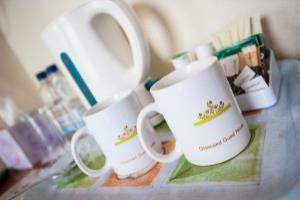 Fluffy bath towels, hairdryer, complimentary toiletries, tissues, mineral water, complimentary beverage tray which is restocked daily. 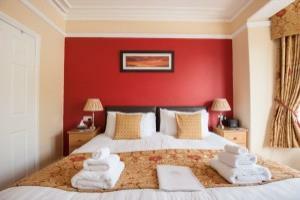 A great room overlooking Chapel Street, It has kingsize bed, fluffy bath towels, hairdryer, complimentary toiletries, tissues, mineral water, complimentary beverage tray which is restocked daily.